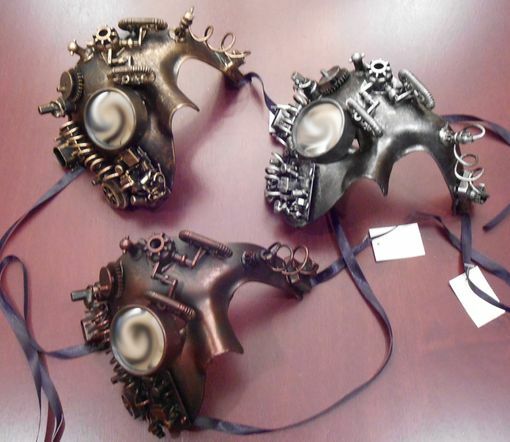 Phantom steam punk mask is hand made and is accented with gears, wires and reflective mirror over right eye. Three colors to choose from. Mask secures with black ribbon ties.